Canada would have to beat the odds to meet its goal of finishing in the top 12 in the medal count at the Rio Olympics, according to recent data analysis from Gracenote Sports. With just two months until the Olympics, it's becoming clear that Canada would have to beat the odds to meet its goal of finishing in the top 12 in the medal count at the Rio Summer Games, according to recent data analysis from Gracenote. The sports statistics company has been providing a medal predictor for the upcoming Summer Games, which currently puts Canada on track to win 15 medals. The breakdown (3G, 7S, 5B) would put Canada in 21st place in the medal count — behind Azerbaijan and Kazakhstan — and far short of its target of finishing in the top 12. According to the June version of the medal predictor, it would take 22 medals to get into the top 12. The last time Canada passed the 20-medal mark was at the 1996 Atlanta Olympics when the country's athletes won 22 medals, for 11th overall. Furthermore, a look at the top 12 countries in recent Olympic history is a list of usual suspects. Think of it like a members-only club that's tough to get into. For example, nine countries — USA, China, Russia, U.K., Germany, Australia, France, South Korea, and Italy — have been in the top 12 at each of the last four Summer Olympics. Japan and Ukraine have been in the top 12 at each of the last three Summer Games. And, the Dutch have generally taken over the remaining spot in the top 12. "Given that both Brazil, as hosts, and New Zealand look in better shape than Canada in our forecast, it is difficult to see how a top-12 spot can be a realistic option for the Canadian team this time around," said Simon Gleave of Gracenote. "The most 'vulnerable' of the usual top-12 countries is Italy, but Brazil or New Zealand look a lot more likely than Canada to take that spot if it becomes available." So is the lesson here to temper expectations? Or perhaps Canada's Olympians will show why the Games aren't won and lost on paper. 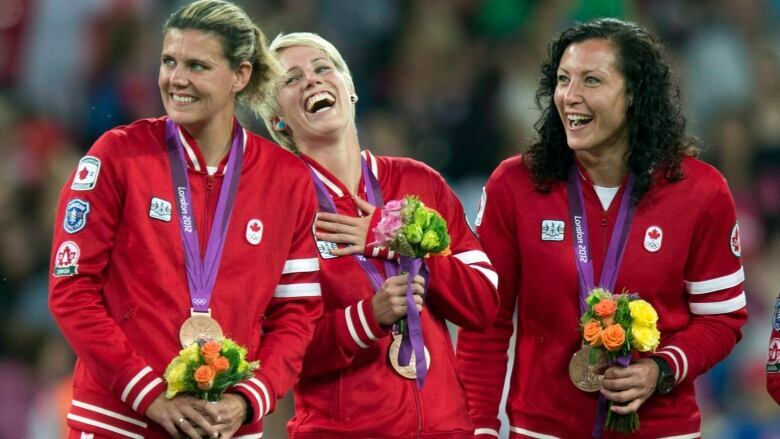 Olympic medal predictor: How will Canada do in Rio?